Interested parties are kindly requested to refer to all clarifications provided by PPA, in relation to the “Purchase of twenty (20) Cast steel Bollars” . Please visit regularly PPA SA website in order to be promptly informed about the above mentioned tender. Please be informed that regarding the above mentioned tender, an extension for the submission of offers has been granted, until 17th April 2019, 15:30. Please visit regularly PPA SA website in order to be promptly informed about the above mentioned tender. Ο Οργανισμός Λιμένος Πειραιώς Α.Ε. προκηρύσσει διαγωνισμό για την ανάδειξη αναδόχου της: «Προμήθειας είκοσι (20) νέων χυτοχαλύβδινων δεστρών», σύμφωνα με τους όρους της συνημμένης Προκήρυξης και Τεχνικής Περιγραφής. Κριτήριο κατακύρωσης θα είναι η χαμηλότερη τιμή. Οι ενδιαφερόμενοι καλούνται να υποβάλλουν τις προσφορές τους, μέχρι και τις 22 Απριλίου 2019 και ώρα 16.00. Piraeus Port Authority S.A. announces a tender for the selection of a supplier for the Procurement: "Purchase of twenty (20) cast iron bollards", according to the terms of the attached declaration and the Technical Description. Award criterion shall be the lowest price. Interested parties are invited to submit their offer until 22 April 2019, 16:00. Clarifications regarding the tender for the construction of the project "Upgrade works at the entrance and the area of the warehouses near E11"
Interested parties are kindly requested to refer to all clarifications published until 09th April 2019 provided by PPA, in relation to the Call for Tenders for the "Upgrade works at the entrance and the area of the warehouses near E11". Please visit regularly PPA SA website in order to be promptly informed about the above mentioned tender. 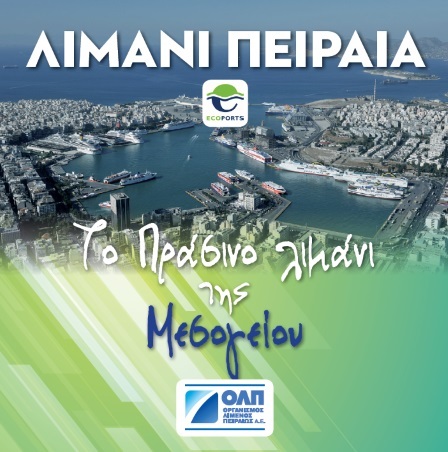 Piraeus Port Authority S.A. announces a tender for the selection of a contractor for the construction of the Project: "Upgrade works at the Entrance and the area of Warehouses near E11", according to the terms of the attached declarationand Technical Description.Award criterion shall be the lowest price. Interested parties are invited to submit their offer in writing, until 12 April 2019 and at 16:00 hours. Piraeus Port Authority S.A. announces a tender for the selection of a contractor for the construction of the Project: "Reconstruction of WC at the basement and the first floor of the office building of KESM and various works in the ground floor warehouse ", according to the terms of the attached declaration and the Technical Description. Award criterion shall be the lowest price. Interested parties are invited to submit their offer (alternative/second offers are excluded) in writing, until Thursday , 11/04/2019, 12:00. Extension of the deadline submission of offers regarding the tender for the construction of the Project: “Renovation works of the pipeline network, the vents and pumps within the boiler room at the Administration Building ” . Please be informed that regarding the above mentioned tender, an extension for the submission of offers has been granted, until 25TH February 2019, 16:00. Please visit regularly PPA SA website in order to be promptly informed about the above mentioned tender. Piraeus Port Authority S.A. announces a tender for the selection of a contractor for the construction of the Project: " Renovation works of the pipeline network, the vents and pumps within the boiler room at the Administration Building", according to the terms of the attached Technical Description. Award criterion shall be the lowest price. Interested parties are invited to submit their offer in writing, until Wednesday 20 February 2019, 16:00. Clarifications regarding the "Construction of new offices of 130 sqm and various works at the Coast Guard Special Forces area". Interested parties are kindly requested to refer to all clarifications published until 18th January 2019 provided by PPA, in relation to the Call of Tender for the "Construction of new offices of 130 sqm and various works at the Coast Guard Special Forces area". Please visit regularly PPA SA website in order to be promptly informed about the above mentioned tender. Interested parties are kindly requested to refer to all clarifications published until 11th January 2019 provided by PPA, in relation to the Call of Tender for the "Construction of new offices of 130 sqm and various works at the Coast Guard Special Forces area". Please be informed that an extension for the submission of offers has been granted, until 22th January, 16:00. Please visit regularly PPA SA website in order to be promptly informed about the above mentioned tender.